1) All Kitchen Islands are sold without tops. 2) If the Island is not to be used with Bar Stools then a 2" top overhang is recommended. 3) If the Island is to be to used with Bar Stools then anywhere from 7" to 10" is our recommended top overhang for Bar Stools. 4) Do you want the overhang on one side, two sides or three sides? 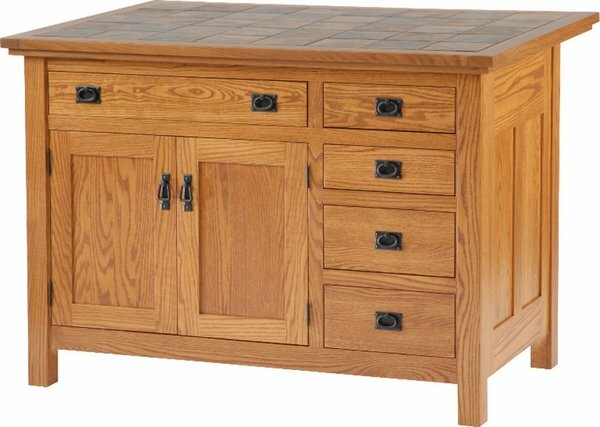 5) Custom island tops and base are available by calling to order with our Amish furniture specialists at 1-866-272-6773. Note: If a kitchen island top is ordered then the base and top will ship unassembled.